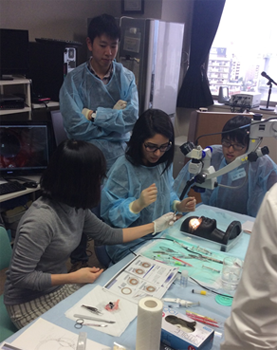 This December, I had the pleasure of spending two weeks of my internship at the Department of Ophtalmology of the Nagoya University Hospital. Since this was the first time for me to work in this field, I didn’t know what to expect. Therefore I was just positively suprised and really enjoyed my rotation at this department. All the doctors were very friendly and helpful and made me feel welcome. During surgery they tried to explain me every step and once they even gave me the chance to assist during a cataract surgery. Thanks to my well-structured schedule, I could see all different aspects of this field and gained a lot of knowledge by visiting the outpatient clinic and the operation room. In my free time I had the opportunity to train doing suture under the microscope. Furthermore, I was allowed to practise slit lamp examination and fundoscopy. My personal highlight was definitely the VR magic simulator. 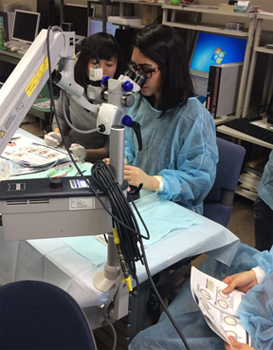 Under supervision, I had the unique chance of improving my practical skills in cataract surgery and vitrectomy. 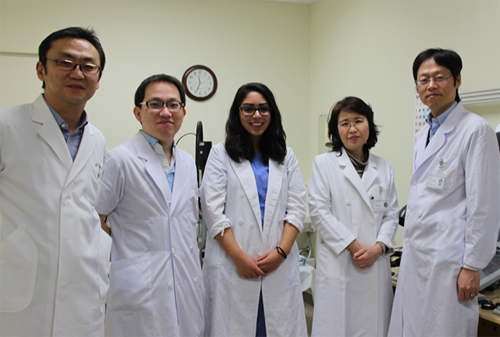 I was impressed by the precision of the machine, it felt like operating on a real patient. After seeing my interest in these surgeries, the doctors invited me to try cataract surgery on a pig’s eye, which was informative and fascinating. All in all, I’m really grateful that I had the chance of spending two weeks of my rotation in this department. 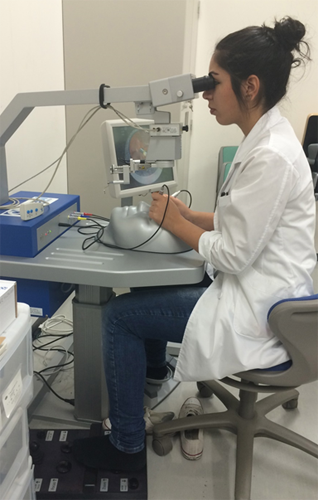 Not only that I had the opportunity to extend my theoretical knowledge about ophtalmological diseases, but also to actively practise in order to improve my surgical skills. I can just strongly recommend an internship at this department for anyone who is interested in learning more about Ophtalmology.